Here are Dr. Erin’s TOP 5 STRETCHES to maintain mobility and flexibility this winter season. The other day I was having an, as always, amazing chat with my best friend about the mentality of people over the winter to want to hibernate! The holidays are just so perfectly placed, we stuff our faces silly and then…. “Netflix and chill”. I mean what could be more enticing on a cold, short winter day – right? Skating…. 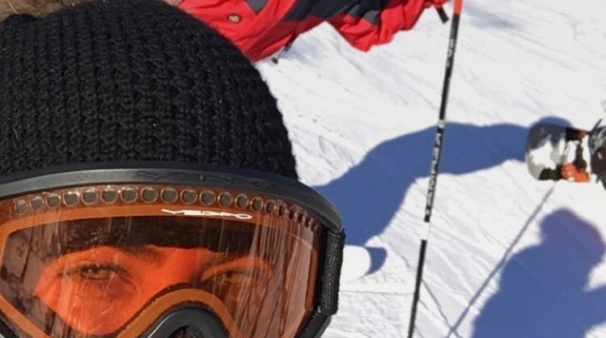 Snowboarding…. Tobogganing… Skiing… A snowshoe through the snow covered forest…. Nothing feels better than coming in after a day outside in the winter, with rose colored cheeks and the sensation of a wind-tan. The post-sport stretch is important in maintaining mobility and flexibility throughout the bodies kinetic chains. Before you hit the hot tub, fireplace or local bar be sure to spend a few minutes performing these stretches. Hold the stretches for 30 – 45 seconds each. Stand with feet facing forward and spread about 4 feet apart. Place your hands on the front of your hips and hinge forward slowly – maintaing a neutral low back. Reach down toward the ground or place your hands on the front of your calves. 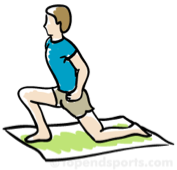 If you feel a pulling sensation at the hamstrings – bend your knees slightly to make it more comfortable. This stretches the posterior kinetic chain – including the gluteal musculature, hamstrings and calves. Slowly bend one knee so your heel is approaching your buttocks. Grab the top of your foot to pull the foot closer. If your balance isn’t great hold on to a nearby surface or the wall to steady yourself. Repeat on the other side. Take a large step forward and while keeping the spine neutral bend the front knee. Tilt pelvis forward to increase stretch. Back knee can be bent or straight depending on intensity of stretch. This stretches the often tight hip flexor. Repeat on other side. Laying down, bend one knee bring opposite hand to rest on the knee. Pull knee over to one side look and reach the opposite direction with your upper body. This stretches the low back and gluteal muscles. Repeat on other side. Stand either in a doorway or facing a corner. 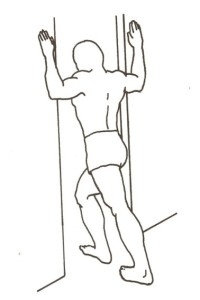 Place your palms/forearms on each side of the corner or doorframe. Place one foot in front of the other and lean your chest forward and hold. Support your body with your legs, not with your arms. Keep your head and chest up in a good posture. This will stretch the chest and pectoralis muscle groups. Super important to combat postural strain and after physical activity. Have fun out there and stay warm!